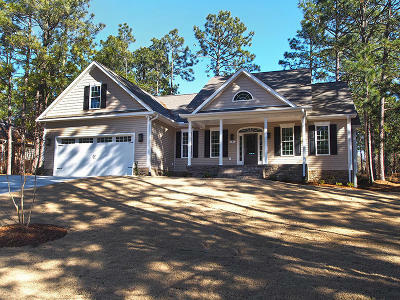 Rare new construction on a beautiful golf front lot on Pinehurst No. 6. The home is surrounded by the course along the back and side. 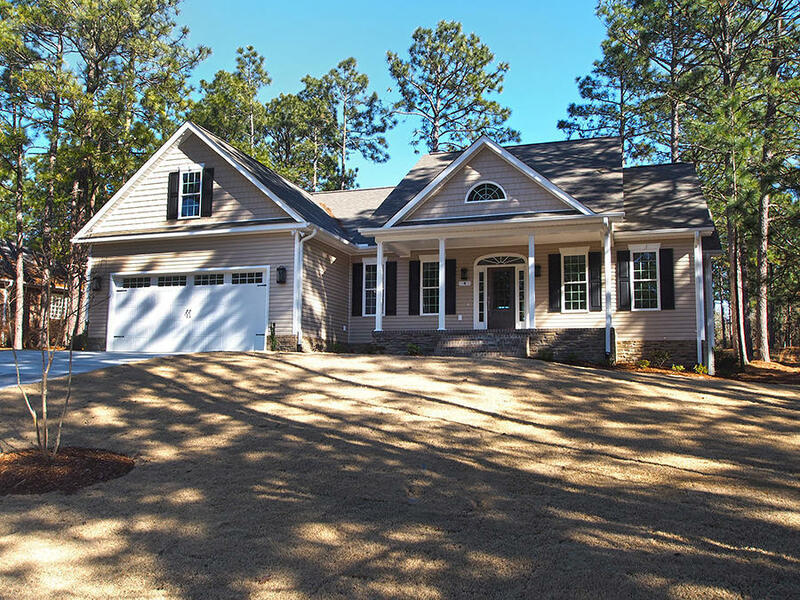 The home is nestled on a quaint street with quick access to enter and exit the community. Upon arriving the curb appeal grabs your attention with attention to detail from the etching in the concrete drive, wrought iron railings, thoughtfully designed landscaping, brick inlay on the front porch to the exterior lanterns. The interior is light and bright with a great flow for everyday living or entertaining with a half bath for guests. Cabinet doors and drawers are soft close. The large screened porch and concrete patio are more private due to the property bordering the side of this home being part of the golf course. Truly a beautiful home and setting! Water/Sewer Desc: City/County Sewer, Community Water Sys.